David Whitmer Richmond, Missouri home site. Photo by Kenneth Mays. David Whitmer, one of the Three Witnesses of the Book of Mormon, became disaffected from the Church of Jesus Christ of Latter-day Saints in 1838 while living in Missouri. 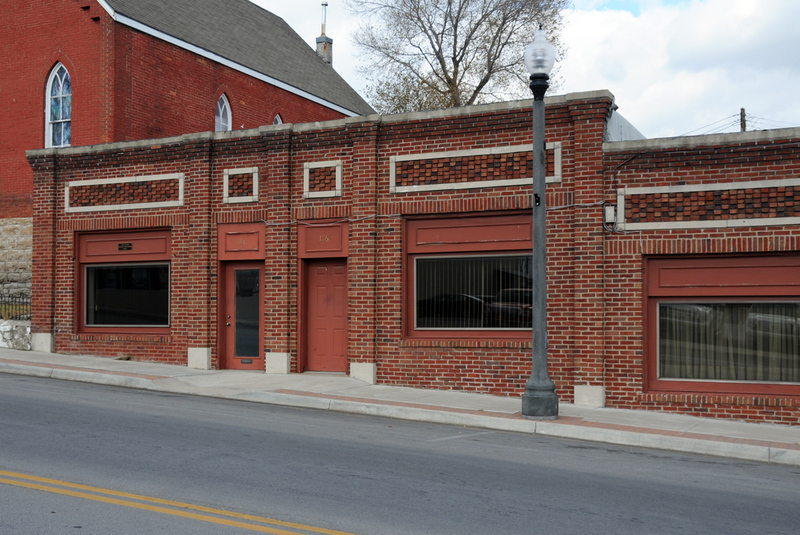 He subsequently moved to Richmond, Ray County, Missouri and spent a half century there until his passing in 1888. 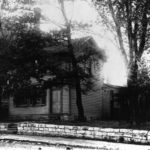 After arriving in 1838 with only a team and a wagon, David eventually built a two-story home on a site on east. 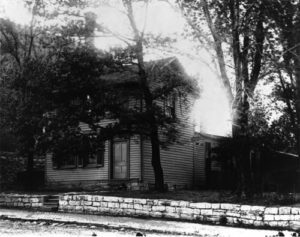 The David Whitmer Richmond, Missouri home before is was destroyed. Photo by George Edward Anderson. In 1878 the home was destroyed by a tornado and then rebuilt. At the time the tornado hit, the second or printer’s copy of the Book of Mormon was being stored in a trunk in the home. The manuscript, mostly written in the hand of Oliver Cowdery survived with little damaged. 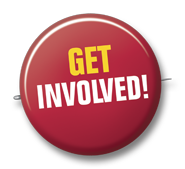 The manuscript today is in the possession of and cared for by the Community of Christ. Only about three lines of the entire Book of Mormon text are missing from that copy. 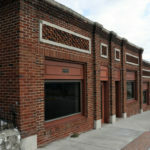 The brick complex seen in these images now occupies the site where David Whitmer’s home once stood. David Whitmer was a respected citizen in the community. Although he never returned to the LDS Church, David was faithful in declaring his witness of the Book of Mormon throughout his life. 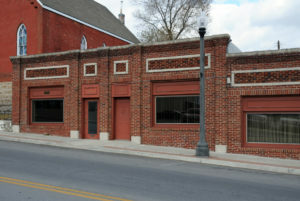 The David Whitmer Richmond, MO home stood at the present-day address of 118 E. Main Street in Richmond. The brick complex there where the home once stood is situated near the northwest corner of the intersection of Main and Shaw Streets. The gps coordinates are: 39°16’42.65″ N; 93°58’31.88″ W. Mounted at the west end of the current complex is a small plaque identifying the site as that once owned by David Whitmer. 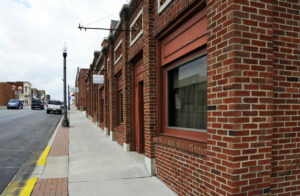 The David Whitmer home site is presently occupied by a brick building that is privately owned. There is nothing left of the Whitmer home and, there is, therefore, nothing to see beyond the building standing on the place where the Whitmer home once stood. The privacy of the owners should be respected. The David Whitmer Richmond, MO home before is was destroyed. Photo by George Edward Anderson. 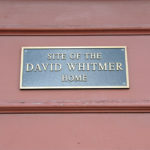 David Whitmer Richmond, MO home site. Photo by Kenneth Mays. Marker identifying the David Whitmer Richmond, MO home site. Photo by Kenneth Mays. Max H Parkin, in LaMar C. Berrett, ed., Sacred Places, Vol. 4, 253-256.